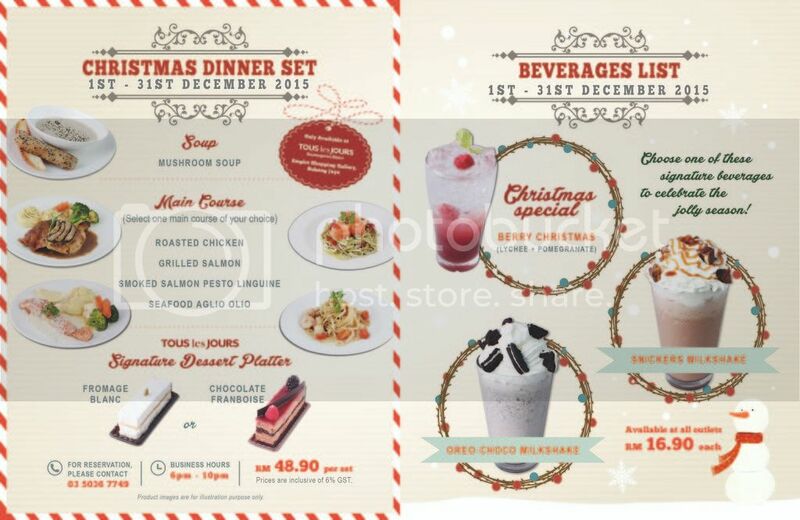 Christmas is approaching and Tous les Jours has introduced Christmas set dinner for their loyal customers. 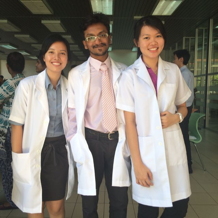 Tous les Jours (pronounced as Too-Leh-Joo) means "Everyday" in French. 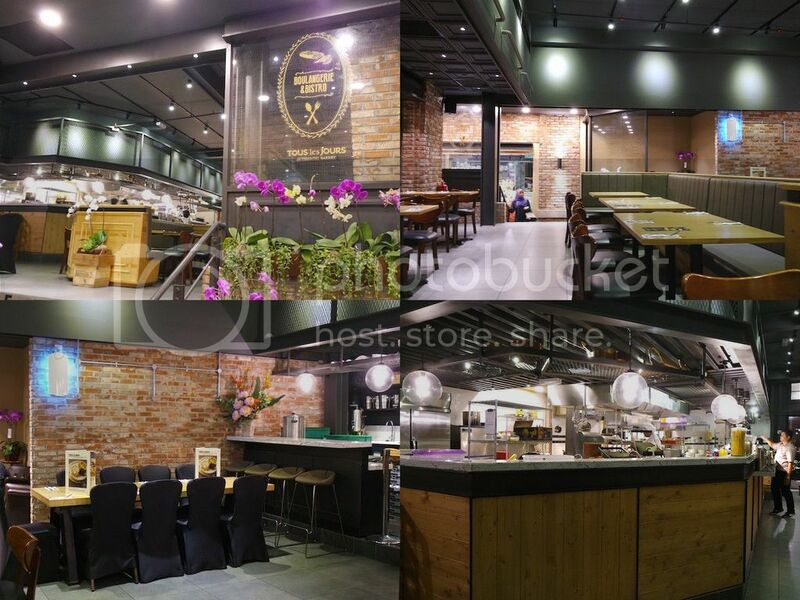 Established in 1997 in Korea, it has more than 1300 outlets in 8 countries from Korea and China to the USA. 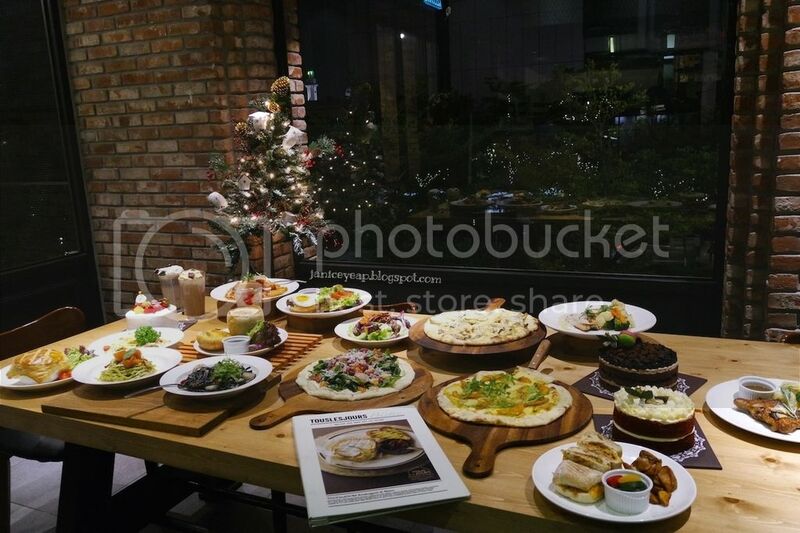 Tous Les Jours is a French inspired Korean bakery serving a wide selection of breads, pastries, cakes and beverages using high quality of fresh ingredients and modern baking expertise. It is a great place to sit back and watch the patissiers bake while enjoying the wonderful aroma of freshly baked bread and pastries. 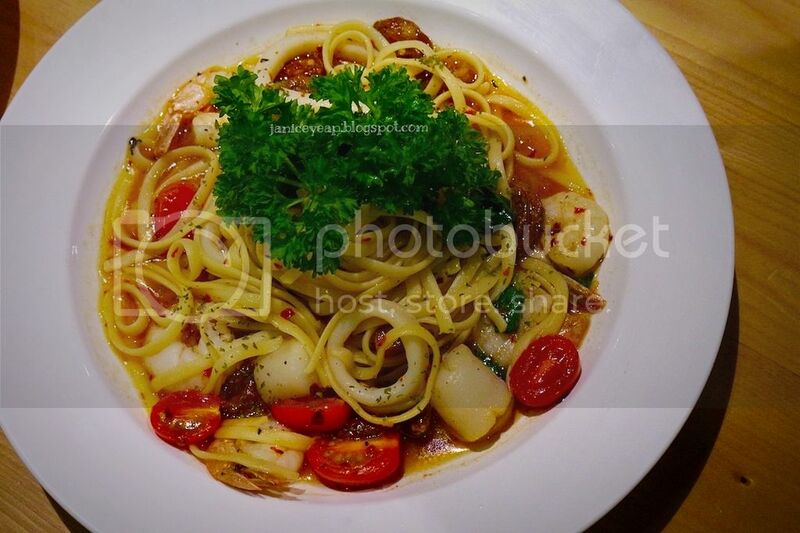 However in Empire Shopping Gallery Subang, Tous les Jours serves as both bakery and bistro for the customers to chill and relax while indulging in pastries, breads, cakes and food as well. 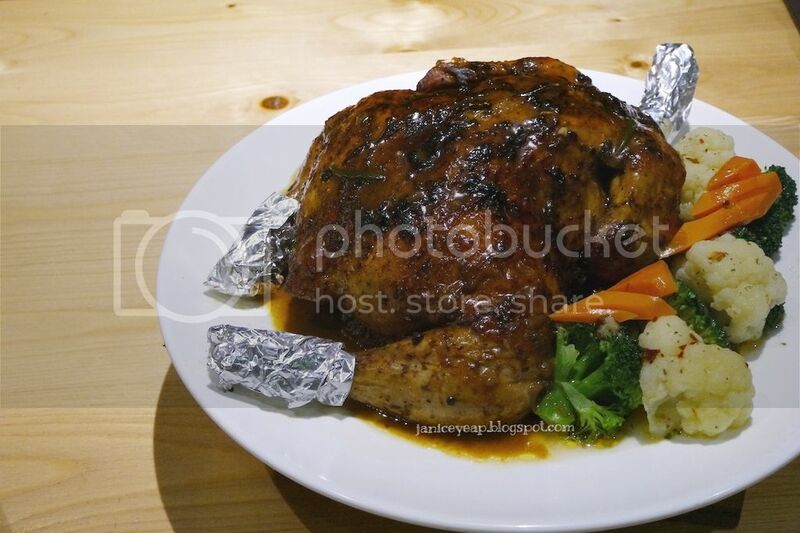 This Christmas, Tous les Jours offers an exclusive and hassle-free solutions to your annual family get-together. 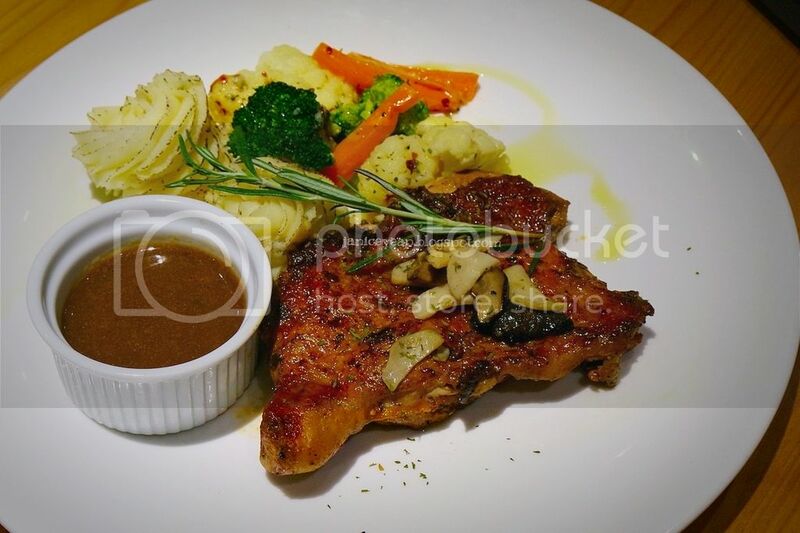 The main course also comes with a creamy mushroom soup and refreshing iced lemon tea and whether you choose the Fromage Blanc or Chocolate Franboise, their signature dessert platters will offer a wonderful end to your evening. 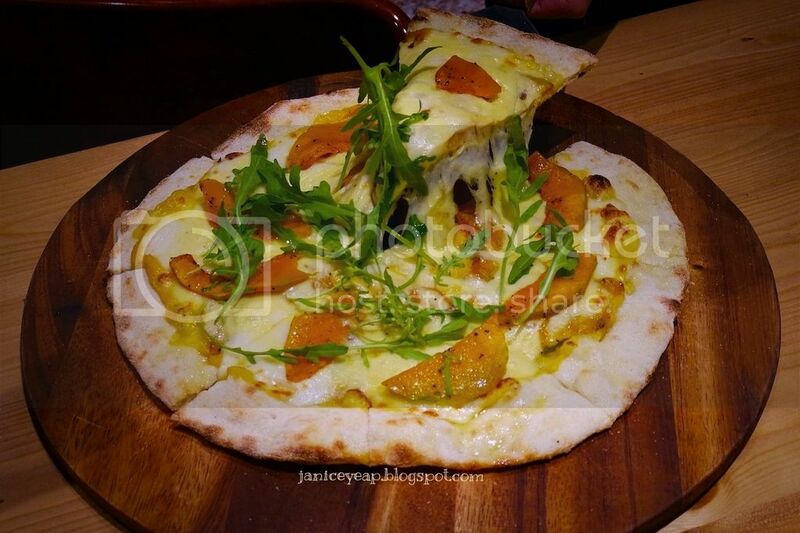 Tous les Jours Boulangerie and Bistro consists of 3-course at RM48.90 per set and available from 6.00 pm to 10.00 pm. 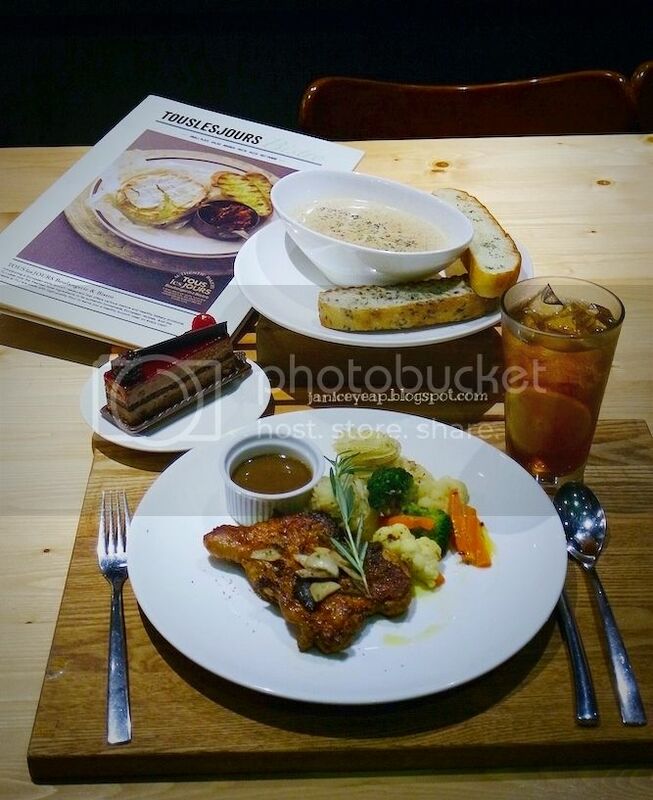 This Christmas Dinner set is available from 1st till 31st December 2015 at Empire Shopping Gallery, Subang Jaya. 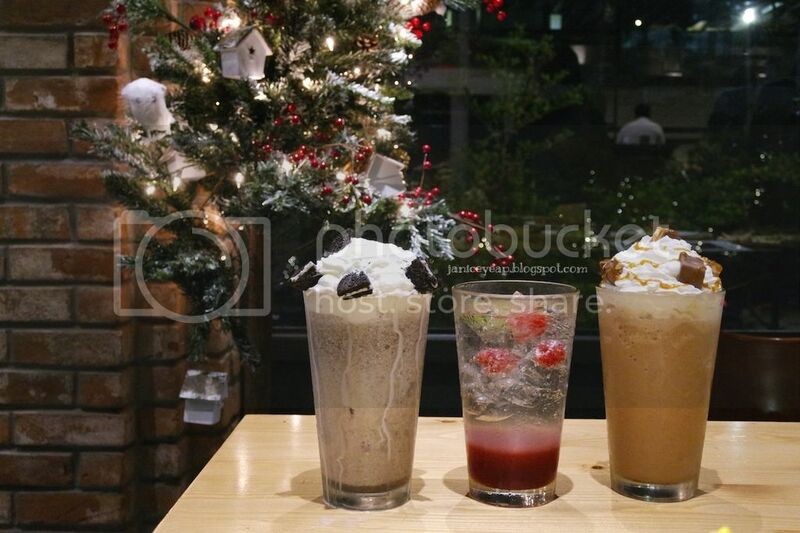 In addition, you can enjoy a selection of Christmas beverages at the price of RM16.90 each whilst dining at Tous les Jours Boulangerie and Bistro. 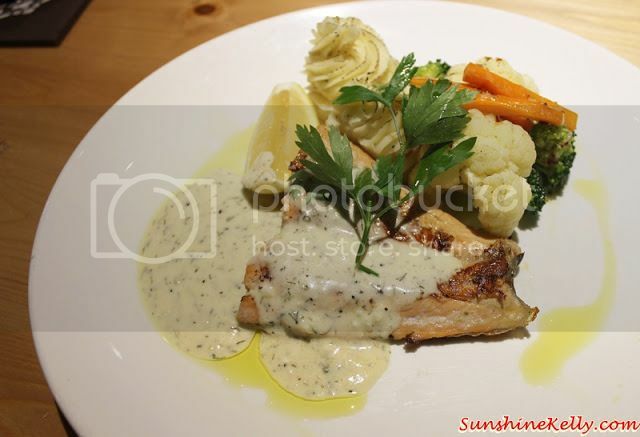 However there are signature bistro menu that you get to choose from apart from the Christmas Dinner set. 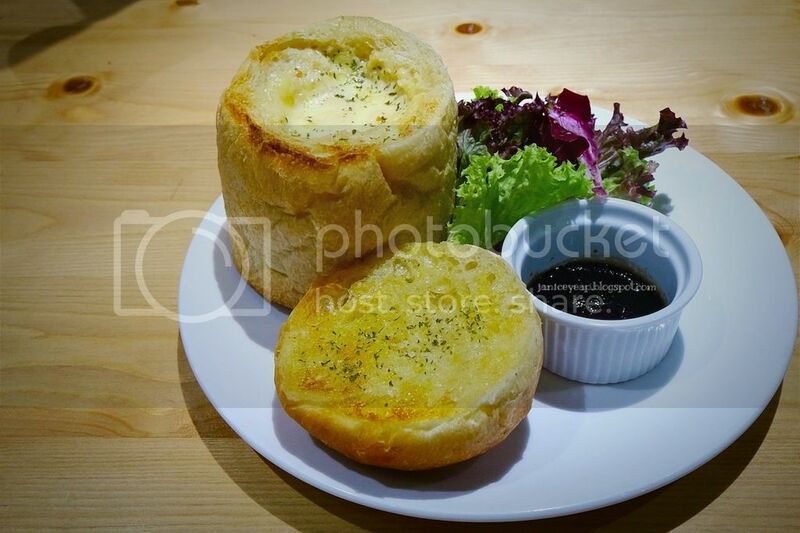 Clam Chowder Bread Bowl Soup is a savoury cream soup with clam served with baguette tower. This bread bowl soup has to be eaten immediately and the bread tastes good with the clam chowder. On the lighter note, the clam smell is not strong and it blends perfectly. 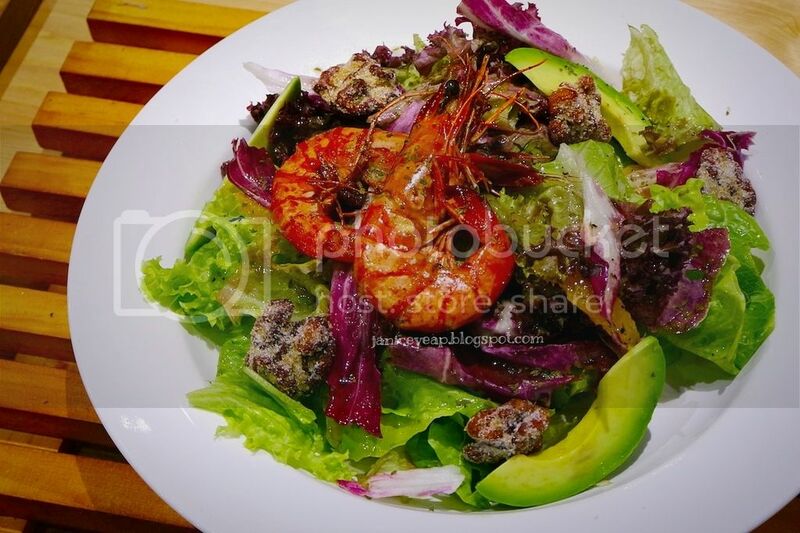 Grilled Shrimp and Avocado Salad is a mixed greens with grilled shrimp, avocado, cherry tomatoes and soft bread. When it comes to salad, I can never say NO. I think that the avocado with the grilled shrimp is the best combination ever so far. 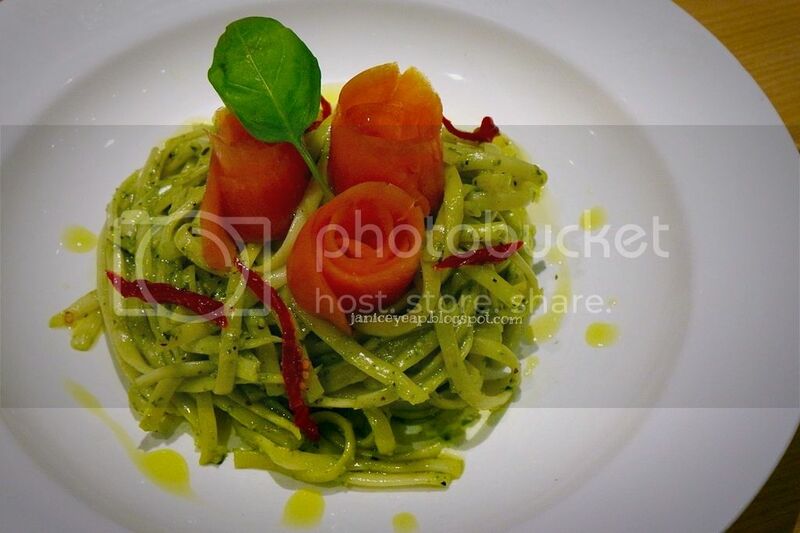 One of my favourite pasta from Tous les Jours. 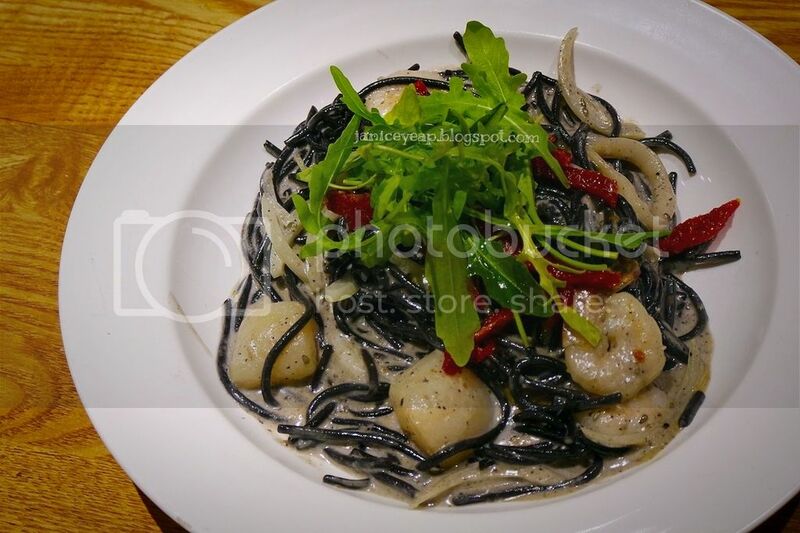 The squid ink pasta does not smell fishy and it really blends well with the variety of mixed seafood such as shrimp, scallop and the sesame seed sauce. 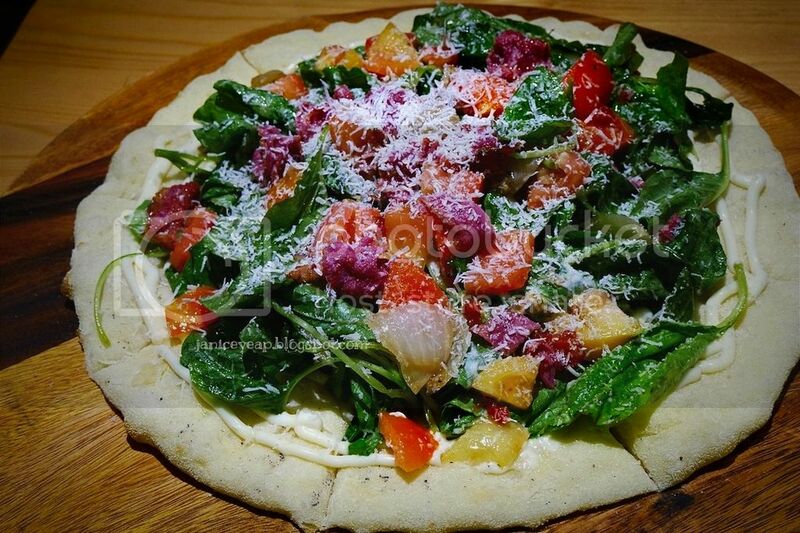 A flatbread pizza topped with spinach in herb dressing, beef bacon, tomatoes and onions. 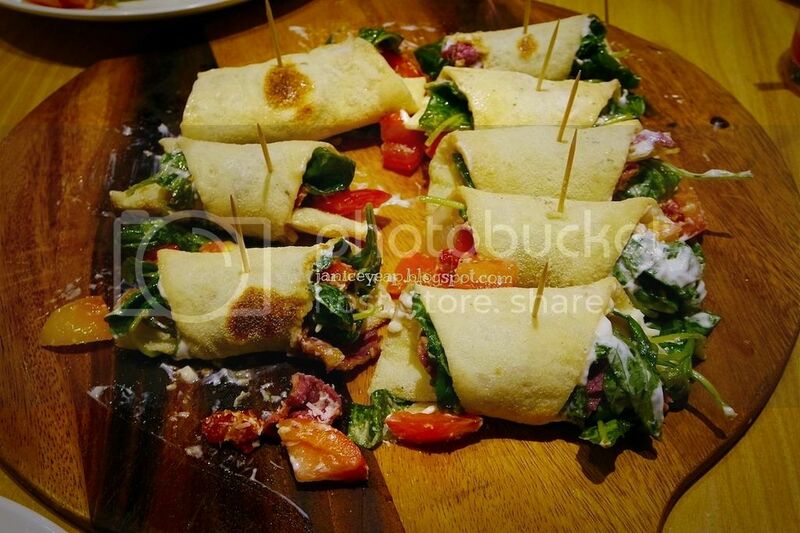 It can be eaten by wrapping the ingredients and rolling it like spring rolls. 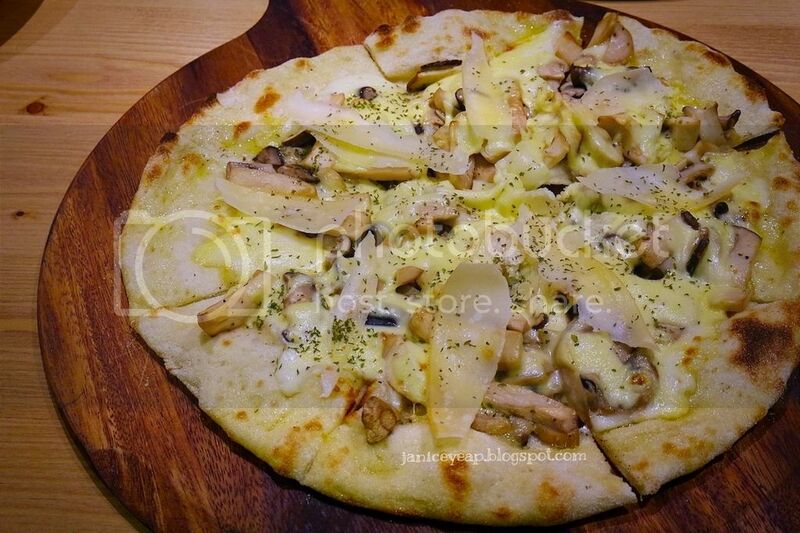 A handmade flatbread pizza topped with saesongi mushroom, shitake mushroom, golden mushroom and truffle oil. 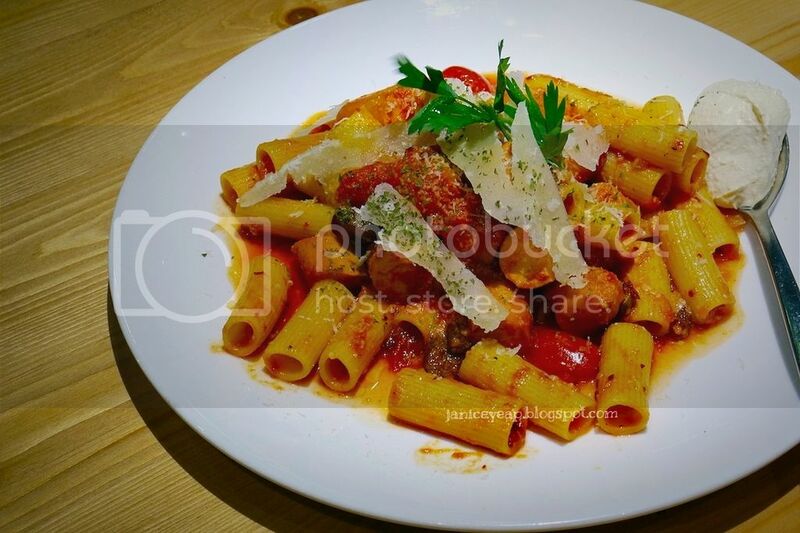 Rigatoni pasta with spicy tomato sauce, sausage and jalapeños. This pasta is slightly spicy to me. That's not all, indulge in a selection of lovely Christmas cakes freshly baked exclusively for this occasion. Some of lovely Christmas cakes! 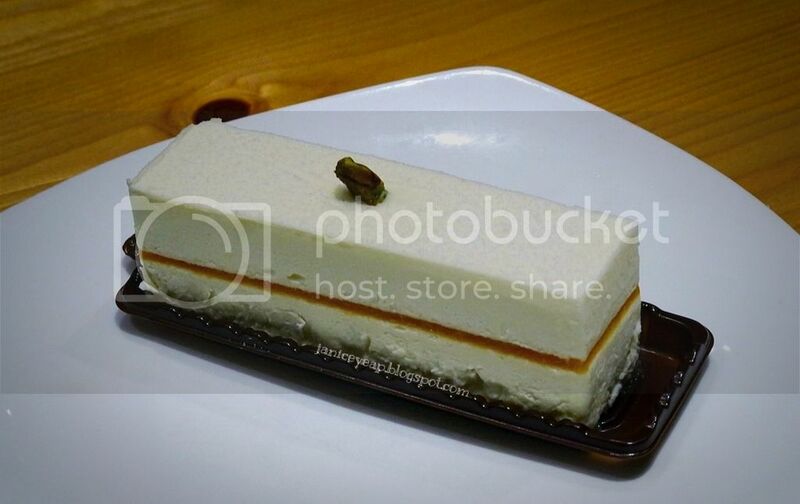 Variety choices from Signature Cake, Butter Cream Cake, Cheese Cake, Mousse Cake to Fresh Cream Cake. 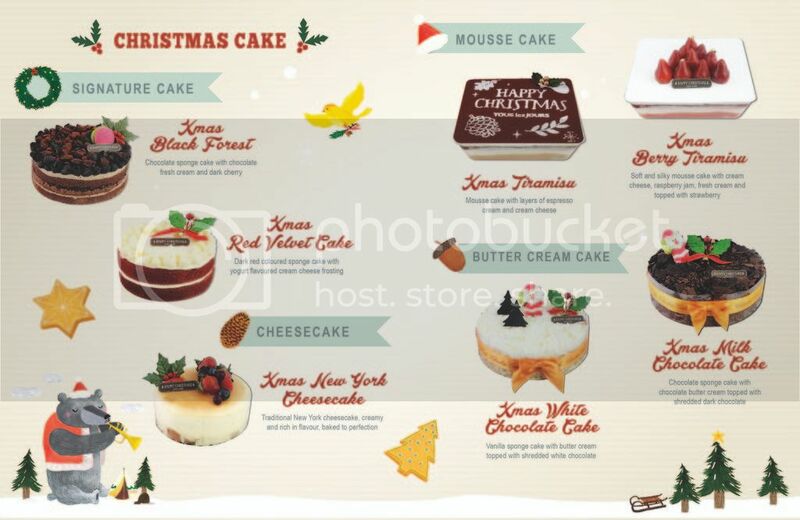 Signature Cake includes X’mas Red Velvet and X’mas Black Forest, whilst the butter cream cakes are X’mas Milk Chocolate Cake, X’mas White Chocolate Cake, X’mas Yule Log Cake and X’mas Chocolate Yule Log Cake. 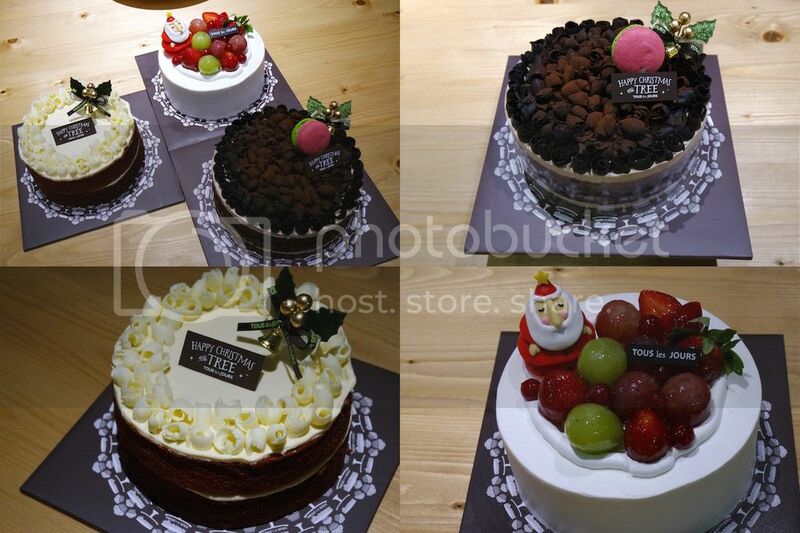 Whilst the ever-popular fresh cream cakes ranges from its X’mas Strawberry Fresh Cream Cake, X’mas Chocolate Strawberry Fresh Cream Cake, X’mas Mixed Fruits Fresh Cream Cake, X’mas Chocolate Chiffon and X’mas Strawberry Chiffon. Advanced cake order is available at all Tours les Jours outlets in Bukit Bintang, Bangsar, Empire Shopping Gallery and Empire Damansara. That's not all, receive a free Tous les Jours Teddy Bear with a purchase of RM120 and above. The bear is only available while stocks last. Besides that, you can also purchase 3 of either Castella or Roll Cakes and Get 1 for Free with the choice of Butter Roll, Strawberry Roll, Blueberry Roll, Castella, Chocolate Castella or Sponge Castella.